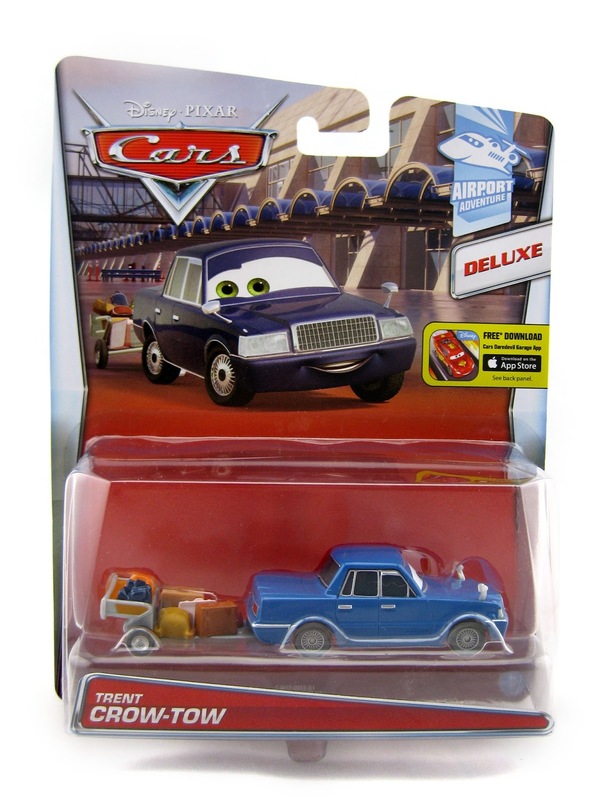 From the Cars 2, here we have another brand new, never before released 1:55 scale "Deluxe" diecast from Mattel...Trent Crow-Tow! 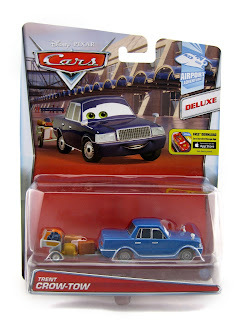 This character is part of the 2015 "Airport Adventure" sub series (#6/6). 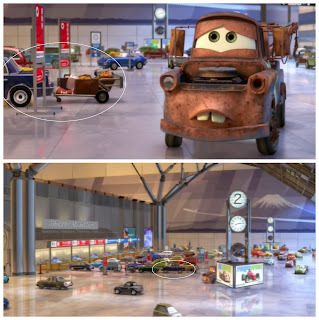 As shown in the screenshot above, this car is (yet again) one of those "blink and you miss it" background characters. 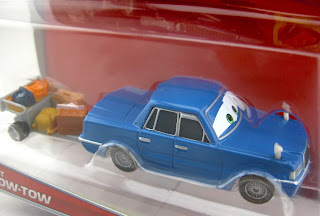 He is seen in just a couple of brief shots in the Toyko airport (when Mater is sad trying to head back to Radiator Springs - about 44 minutes in).